Τοποθετημένο στην υπέροχη περιοχή της Διεθνές Αεροδρόμιο Ίντιρα Γκάντι, το Pride Plaza Hotel Aerocity Delhi χαίρει μιας επιβλητικής θέσης στη επαγγελματικές δραστηριότητες, περιήγηση σε αξιοθέατα κεντρικό σημείο της Νέο Δελχί και αστική ζώνη. Το κέντρο της πόλης είναι μόνο 10 KM μακριά και μπορείτε να φτάσετε στο αεροδρόμιο μέσα σε 10 λεπτά. Από τη βολική της τοποθεσία, η ιδιοκτησία προσφέρει εύκολη πρόσβαση σε κορυφαίους προορισμούς της πόλης. 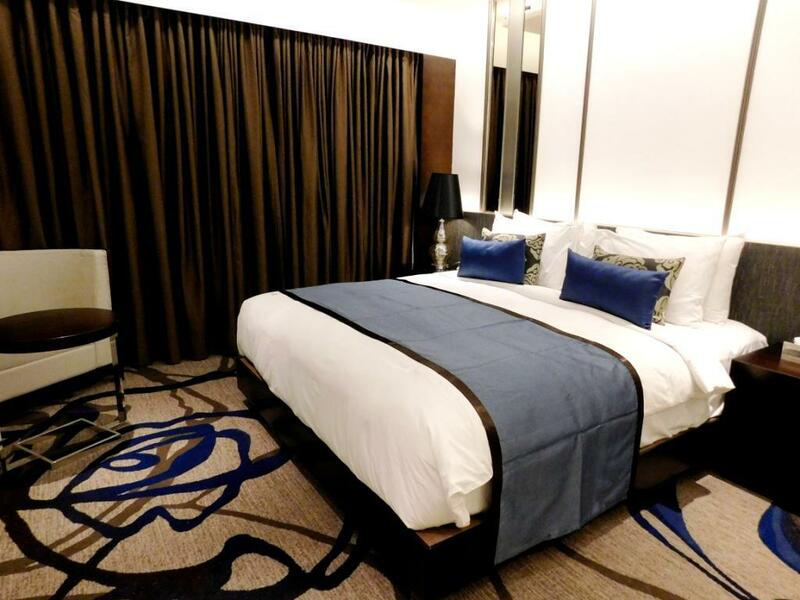 Το Pride Plaza Hotel Aerocity Delhi προσφέρει επίσης πολλές εγκαταστάσεις για να εμπλουτίσετε την διαμονή σας στη Νέο Δελχί και αστική ζώνη. Μια επιλογή από εξαιρετικές ανέσεις όπως τα 24ωρη υπηρεσία δωματίου, δωρεάν WiFi σε όλα τα δωμάτια, 24ωρη φύλαξη, ημερήσιος καθαρισμός, ταχυδρομική υπηρεσία σας περιμένουν στο ξενοδοχείο. 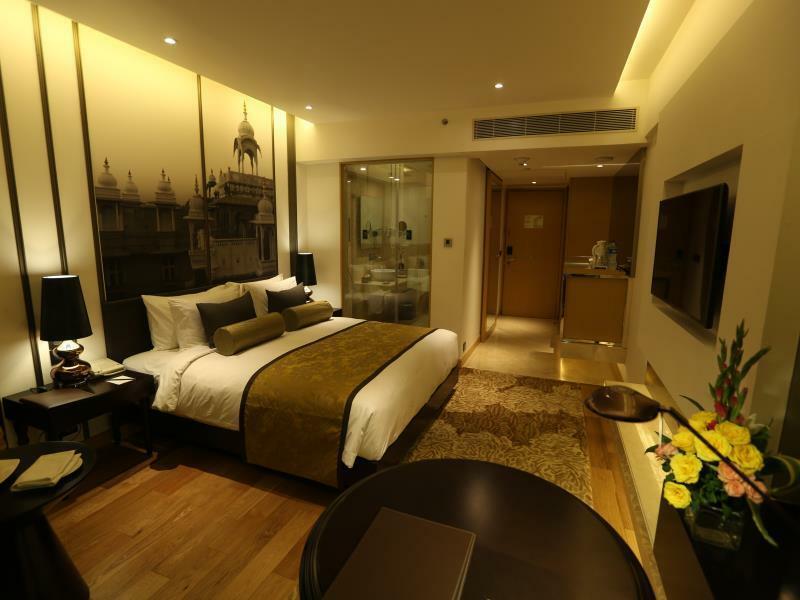 Το Pride Plaza Hotel Aerocity Delhi διαθέτει 385 δωμάτια. Όλα τους είναι διακοσμημένα με γούστο και πολλά από αυτά παρέχουν ανέσεις όπως επίπεδη τηλεόραση, τηλέφωνο μπάνιου, μοκέτα, δωρεάν ποτό καλωσορίσματος, λευκά είδη. Είτε είσαστε λάτρης της γυμναστικής είτε ψάχνετε έναν τρόπο να ηρεμήσετε μετά από μια δύσκολη μέρα, θα σας ψυχαγωγήσουν καταπληκτικές δραστηριότητες όπως οι γυμναστήριο, σάουνα, εξωτερική πισίνα, σπα, παιδική πισίνα. 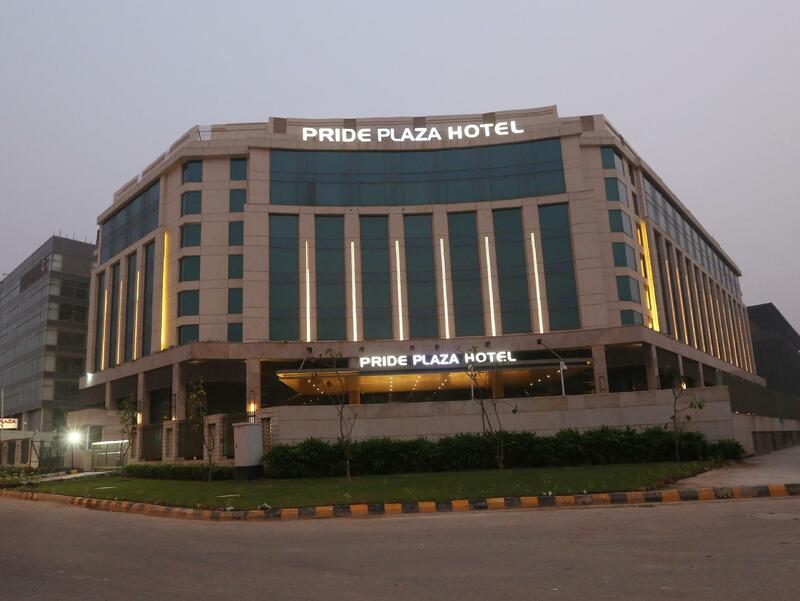 Το Pride Plaza Hotel Aerocity Delhi είναι ο ένας και μοναδικός προορισμός για εσάς που ψάχνετε ποιοτικά καταλύματα στη Νέο Δελχί και αστική ζώνη. The sound insulation between the rooms and corridor is sub-standard. You can literally hear almost everything from the next room, or from the corridor outside the room. You would probably be disrupted in your sleep in the middle of the night by the banging of the doors from the rooms down the corridor. Believe me it is unacceptable by international standards. The bed is placed next to the bathroom door which . For customers that request to check-in earlier, watch out that the hotel will charge you half day rate in addition to your room charge. They will only allow you to check in at 12:00 noon. FIND ANOTHER HOTEL IN THAT AREA. Room was small, comfortable and had a wonderful sleep. The breakfast was great and the reception staff were helpful. The rest of the staff, be it concierge, bell and housekeeping were less than helpful to say the least. Still I would book again. Maybe just an off day for all. We had a difficult time with the staff at the hotel. We had minor issues and getting them resolved was very difficult. We had to follow up and ask 5 times regarding a booking issue, and it constantly seemed as if we were in imposition instead of a guest. They were not as friendly or as helpful as at other places we stayed. The value certainly was not there. We would have been much better off to stay another few kilometers away since an Uber to the hotel was so inexpensive. Staff was delightful and the room was nice expect for the fact that the carpet had some hair and dirt on it. Location again is good. Even at night it seems like a safe area to walk around since there are so many guards in the Aero-City area. Again, although the metro goes direct to Aero-City it isn't convenient to even get a cab or walk to the hotel because of the construction. this is a great location to fly in, having your business and later fly out. Still able to have a look at old Delhi as it is reachable within 40 to 50 min, depending on traffic. Great welcome staff Ms Karishma!! Comfortable beds but very busy and very noisy hotel even in the middle of the night. Stayed 4 nights, every night we were woken at about 2am by noisy groups going to their rooms. Shower water is quite smelly. Staff very helpful. Facilities good. 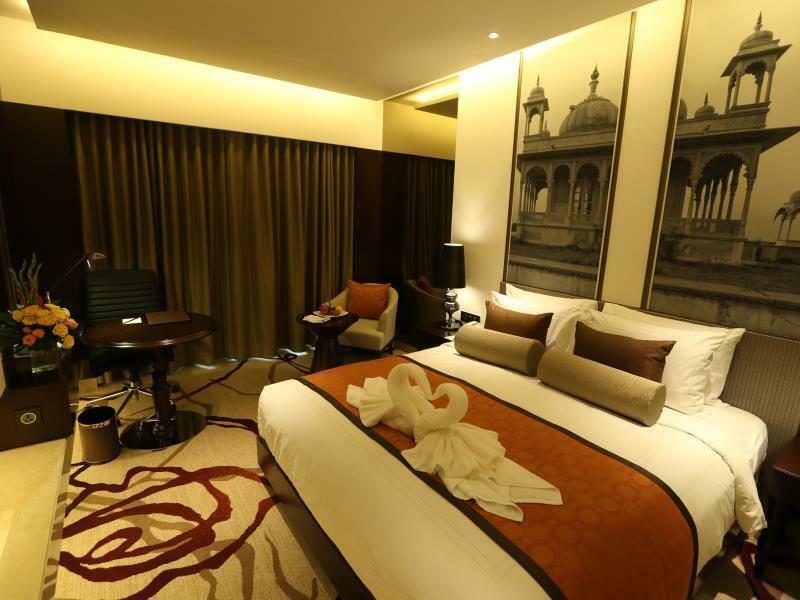 price is good if compare with the hotels around. lobby and room also great. room is not big enough to put much luggage which u always need to keep it close.. but at least have a sofa, a glass meeting table, a nice bathtub, and bed is so big and comfortable with enough pillows.. have food court nearby I mean inside the hotel zone area, I didn't see any convenient store but I use uber instead. it s so safe with double security check... and no group tours too so it's keep the hotel running well. they have buffet breakfast, lunch and dinner but not cheap too. also high price of their menu. need 20 mins drive to airport and u can just simply call uber then it's so reasonable to airport. check in need 3000 rupees deposit. room is quite clean. just the toilet is also ok. they have very nice shower gel and shampoo. have a cafe in the lobby too. and a bar too.. some room don't have window. many tv channels.. room service quite good. Good breakfast spread and helpful staff. Room was pretty standard for 5 star hotel. 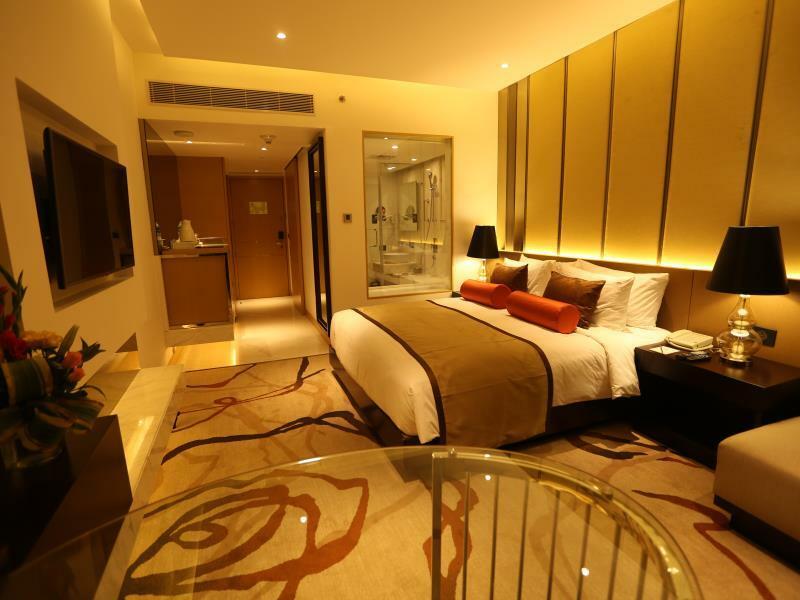 A little costly tho but if u book in advance u may get a good deal. Check in/check out was a farce. They tried to charge me for a room that was already paid for through Agoda (on check in they accepted I was booked through Agoda, at check out they claimed I was booked in under Booking.com). I was checked in under my travel partner's name, this caused problems with paying the extras. The pick up at the airport for arrival was not there, so we had to get a taxi (at least that saved money). The bar only had two beers, the menu contained c15 beers, only one was available. Apparently an Indian pint is 300ml, not 554ml as in the UK. At least the room was comfortable. 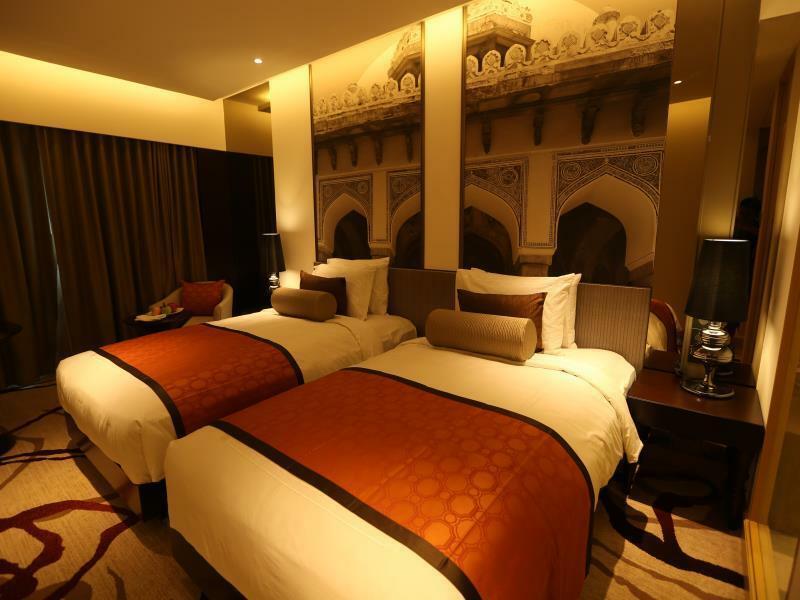 pride plaza hotel is in real terms value for money,. with its location near terminal 3 and 5 star rank and cool ambience, one can relax without any thoughts. breakfast is elaborate and delicious with choice of food representing all corners of India and continental. This hotel is business like, not in the least bit warm or friendly and the only advantage I can see to it is the proximity to the airport. Our room seemed to be at the farthest point from the elevator and when we got there, we noticed that the shampoo had not been switched out. We had been left with a 1/2 empty bottle. There were also no directions for using the TV and we had to call to have someone come and help us with it. The hotel is not cheap and there is a lot of competition. My recommendation would be to shop around if you absolutely have to stay near the airport. It was not uncomfortable and breakfast was fine. But all of these hotels are pricey and the cost of going in a prepaid taxi to and from the airport (10 minutes each way) was very high 2,500 rupees vs. the nearly 2 hour ride to our hotel in Mumbai which was 800 rupees. So if you are in a pinch and have to take a very early flight, this hotel is fine, but many of the others are probably fine too. Technical issues made checkin time late. I came from a long drive and flight and I got no compensat while waiting. I went to eat before check in and the experience was bad. The breakfast was not good in the hotel price catagory, no vegan support, not even soy milk for the early coffe. The room was good. Needed a place close to the airport and this seemed the best for the price. Room was nice, buffet breakfast was good. The gym close too soon, should be 24 hour! We were only at the hotel for a short one night stay, but truth be told, out off all the hotels we stayed in while traveling in India, this was our favorite! Σταθμός Μετρό Delhi Aero City στα 0.51 χλμ.